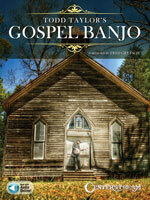 This book features ten exciting arrangements of favorite gospel classics by virtuoso Todd �Banjoman� Taylor. Just follow the easy tab, listen to the audio and play along with Todd quickly and easily! Songs include: Amazing Grace � How Great Thou Art � Uncloudy Day � What a Friend We Have in Jesus � When the Roll is Called Up Yonder � I�ll Fly Away � and more. Fascinating historical notes accompany this collection, describing the meaning of the songs, their place in history, the significance of the musicians who first performed them, and Foster himself, American�s first professional songwriter. The complete original lyrics of each song and an extensive bibliography are included. 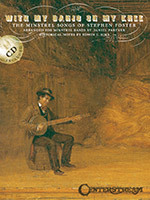 The CD contains recordings of each arrangement performed on solo minstrel banjo and bones.